(Bloomberg) -- Former Nissan Motor Co. executive Jose Munoz who served the Japanese automaker as chief performance officer is in talks with Hyundai Motor Co. to take an executive role, Automotive News reported. Hyundai Motor is poised to appoint Munoz, 53, as global chief operating officer in South Korea and president of Hyundai Motor America, according to the report, which cited three unidentified people familiar with the plan. Terms of the contract haven’t been finalized, the report said. Munoz declined to comment. A Hyundai Motor representative wasn’t immediately available for comment Saturday. 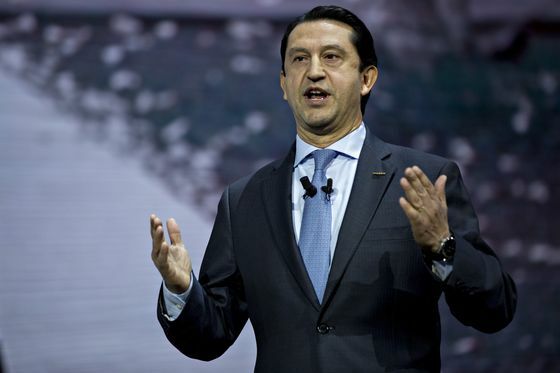 Munoz, who reported directly to Nissan Chief Executive Officer Hiroto Saikawa, left the company in January one week after taking a leave of absence.